JAMAICA, Queens (WABC) -- One person was killed and eight others injured in a multi-vehicle accident in Queens Sunday morning. 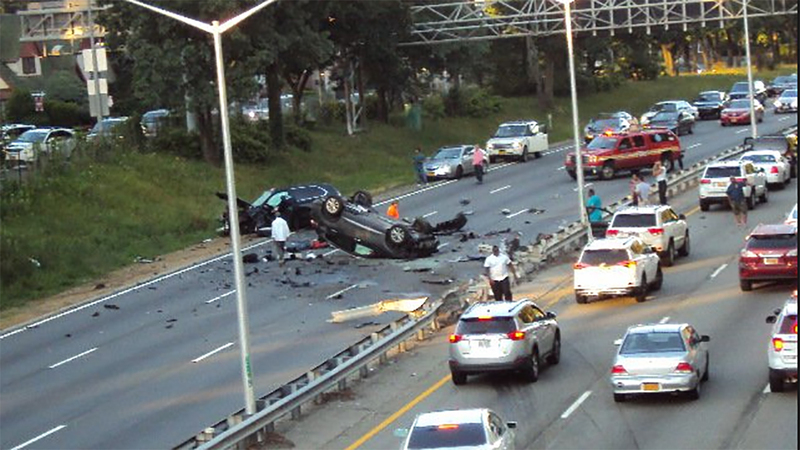 The crash happened at about 6:30 on the eastbound Grand Central Parkway near 188th Street in Jamaica Estates. One person was pronounced dead at the scene and eight others were taken to Jamaica Hospital and North Shore Medical Center. Two of the injured are in critical but stable condition while the others suffered minor injuries. All eastbound lanes of the roadway were shut down while the NYPD's Collision Investigative Squad responded to the scene. The identities of those involved in the crash have not yet been released.